For the third edition of Detrás del Muro in the context of the XIII Bienal de La Habana (2019), the Mexican artist Jose Dávila will present a large-scale sculptural intervention in the heart of the Malecón Habanero, an iconic waterfront area of the Cuban capital. 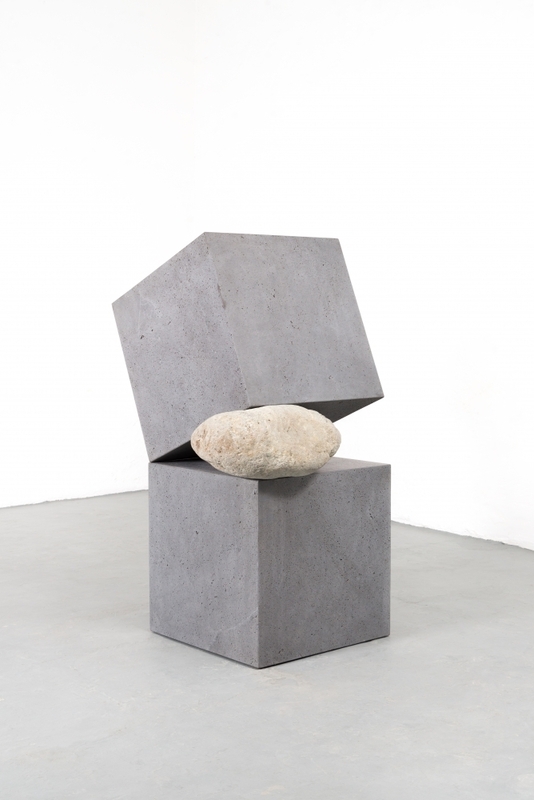 This intervention comprises a series of sculptures executed with volumes made with Recinto, a kind of volcanic rock, and raw sandstone boulders. The interaction between the perfect geometric shapes of the Recinto volumes and the capricious forms of the unaltered boulders, reveals a relation of contrast which is an essential part of Dávila’s sculptural practice. This material divergence highlights the need for active collaboration between the involved elements in order to achieve permanence and balance. Through the exchange of effort and resistance, these sculptures maintain their shape; calm and tension, fragility and solidity, inhabit a common space. These physical processes reveal a certain structural intuition which preceded the actual sculptural configuration. The relations between opposites can function as material radiographies of the social dynamics that give shape to the way in which space is occupied and inhabited in a certain cultural context. Dávila’s sculptures often result from a process of reduction; these works are no exception since they offer a visual synthesis of the constructed world. The structural intuitions that enabled the creation of the sculptures are mirrored among the buildings and structures that surround the intervention. Dávila’s approach towards sculptural language has always involved the preservation of a certain openness, which could enable the works to replicate the various interactions from the viewers and the internal dynamics of the city. The works have been executed with construction materials that can easily blend into the urban grid of Havana; the presence of these works aim to question the common usage of public space and to reproduce the diverse urban narratives that will surround the sculptural group. The possible uses and applications of these works arise in the same way they were made, through an inherently intuitive attitude.